From the birthplace of Rock 'n Roll, the tradition of Memphis barbecue is rich and sweet with a pop of spice. 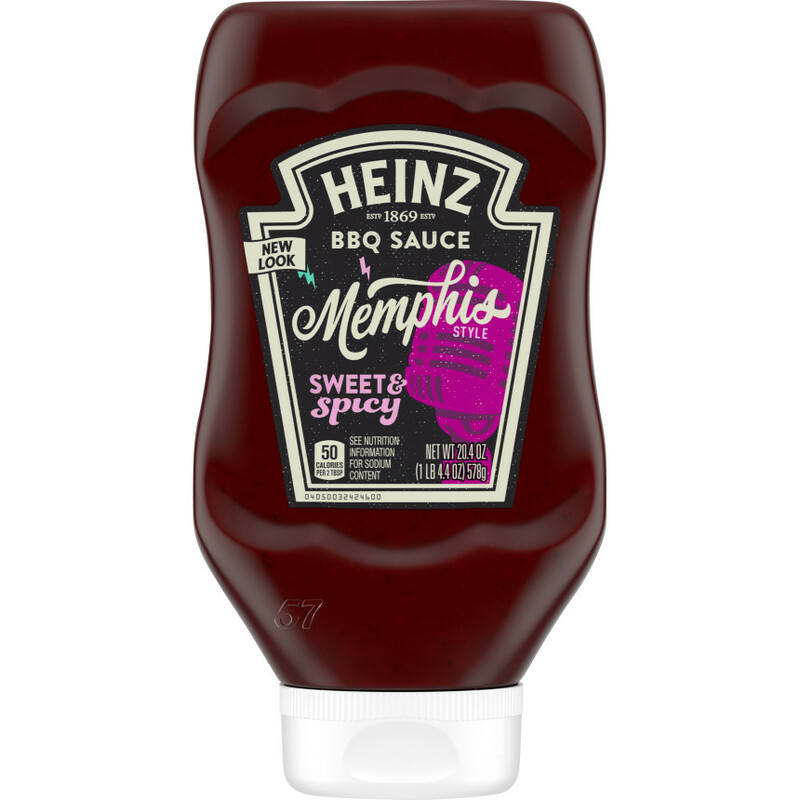 To create a truly great Memphis style barbecue sauce, Heinz teamed up with Dan Brown of Memphis' own Leonard's Pit Barbecue(em)a barbecue institution since 1922. 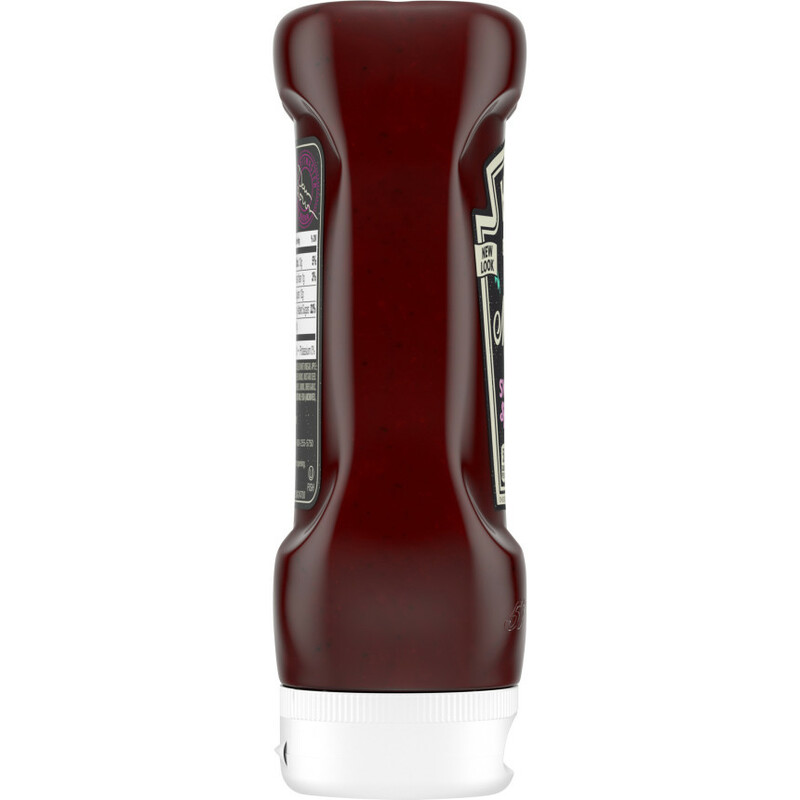 With sweet brown sugar and the flavors of the region's traditional dry rubs, this is a sweet and spicy sauce that's sure to be a favorite. 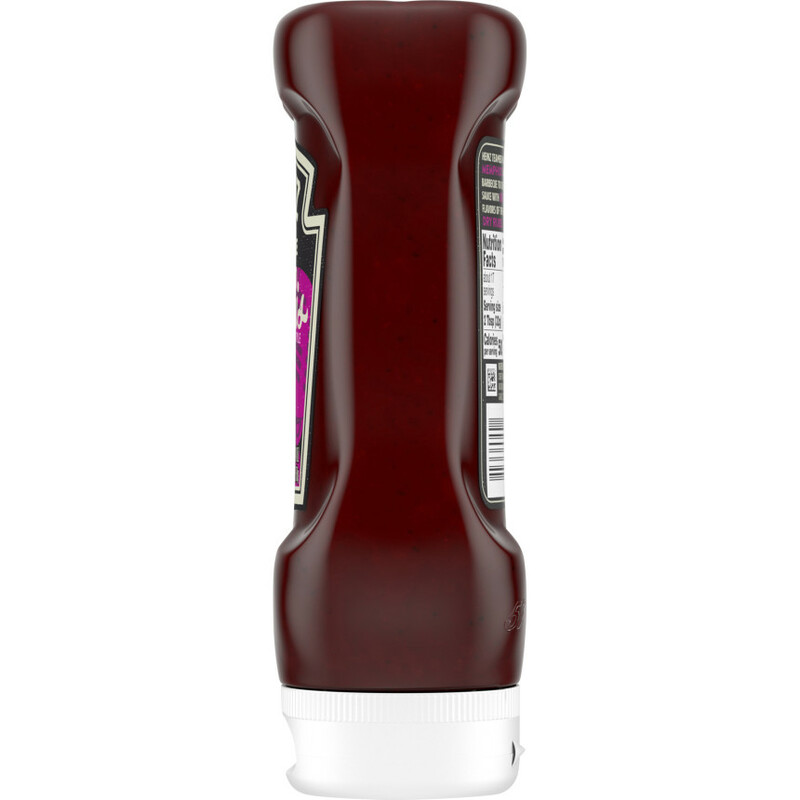 WATER, DARK BROWN SUGAR, CANE SUGAR, TOMATO PASTE, DISTILLED WHITE VINEGAR, APPLE CIDER VINEGAR, BLACKSTRAP MOLASSES, SALT, SPICE, CORN STARCH, DEHYDRATED ONIONS, MUSTARD SEED, NATURAL SMOKE FLAVOR, PAPRIKA, XANTHAN GUM, NATURAL FLAVOR, ANCHOVIES, ONIONS, GARLIC POWDER, GARLIC, TAMARIND CONCENTRATE, NATURAL EXTRACTIVE OF PAPRIKA. 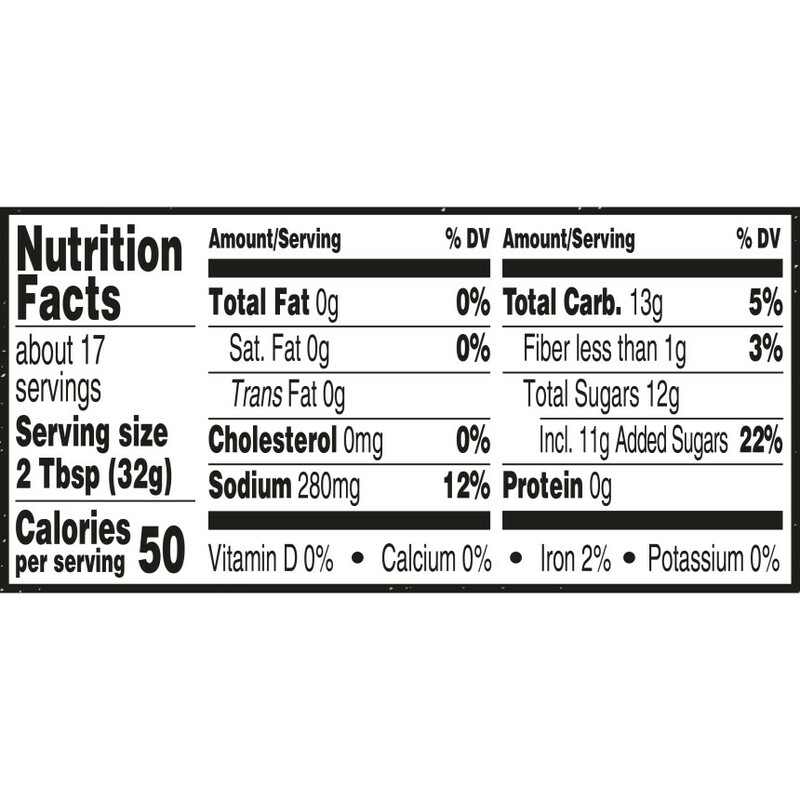 CONTAINS: FISH (ANCHOVIES).